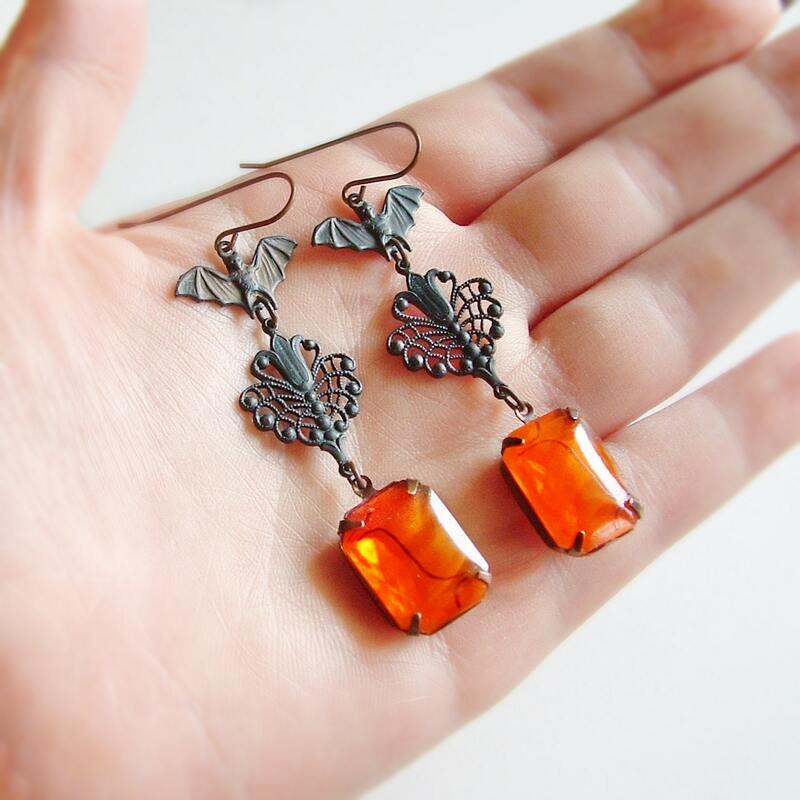 Large handmade Victorian bat statement earrings with black brass and vintage orange rhinestones. 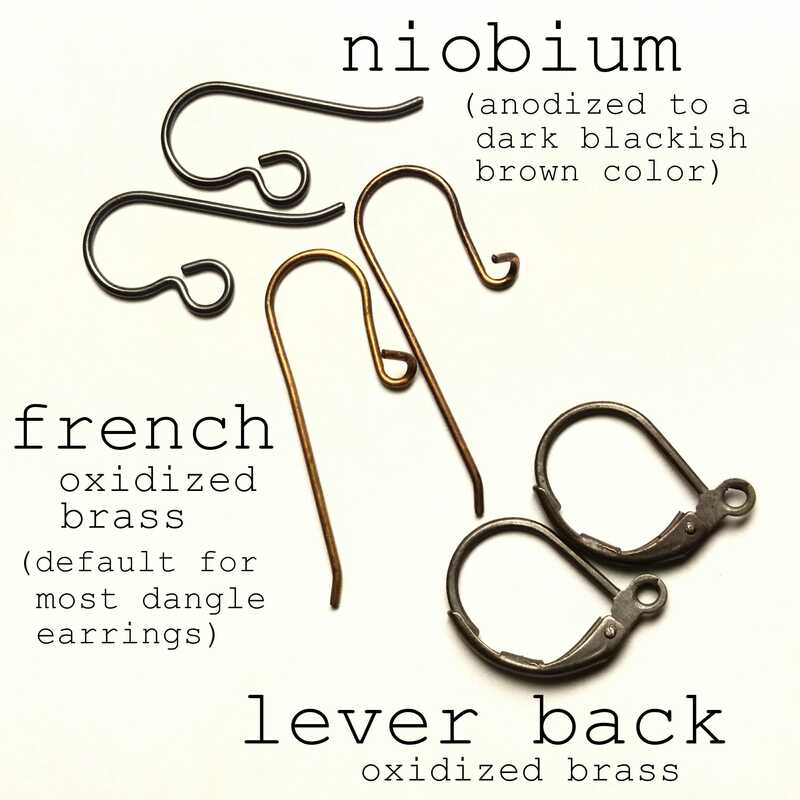 US made antiqued brass components. 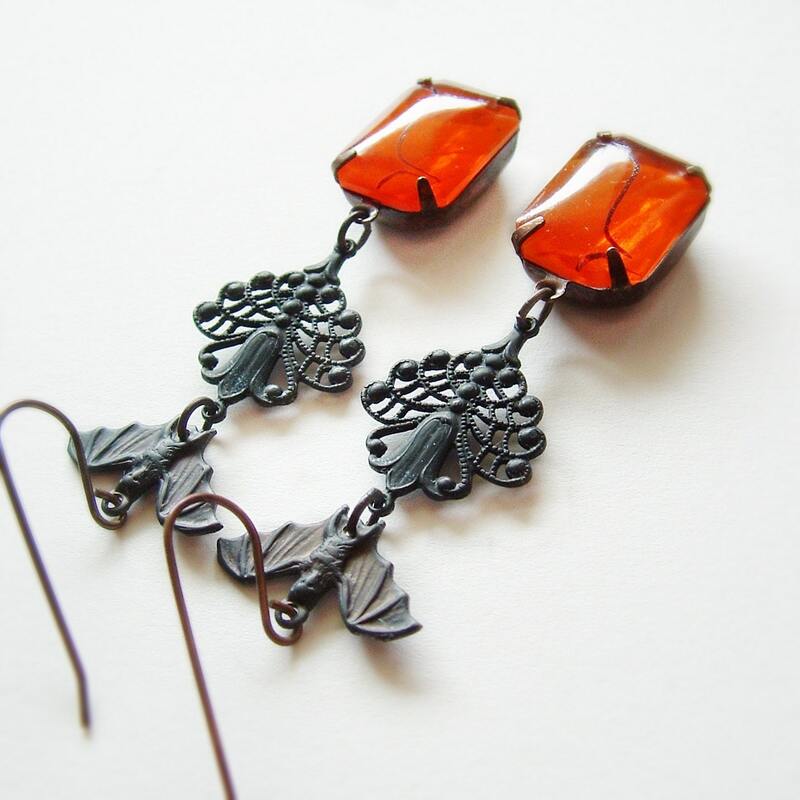 2 3/4 inches - 7 cm long. 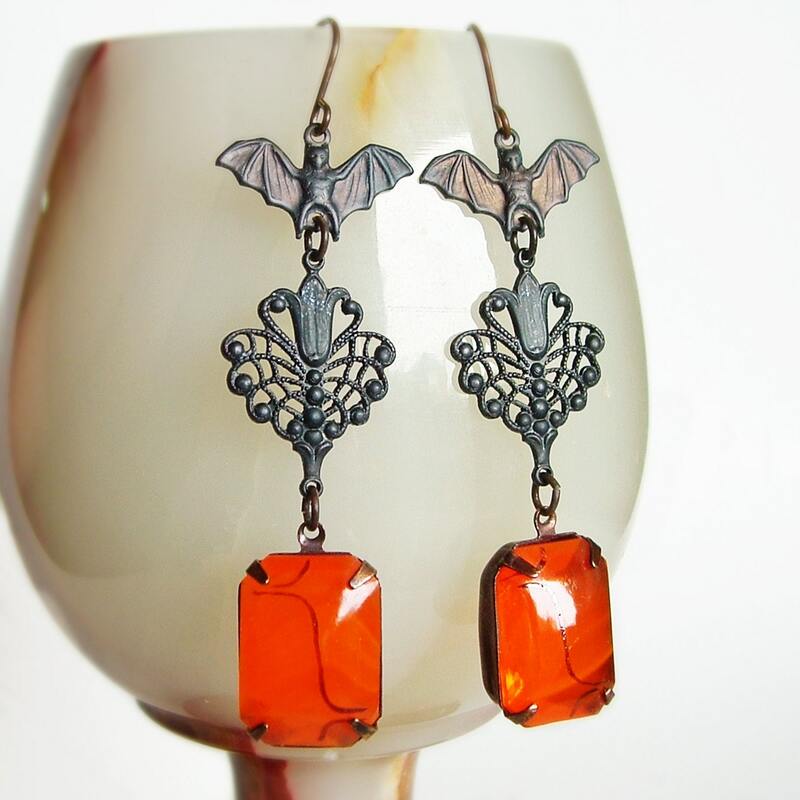 Halloween statement earrings made with exquisitely detailed small brass bats and filigree I antiqued to a black patina. 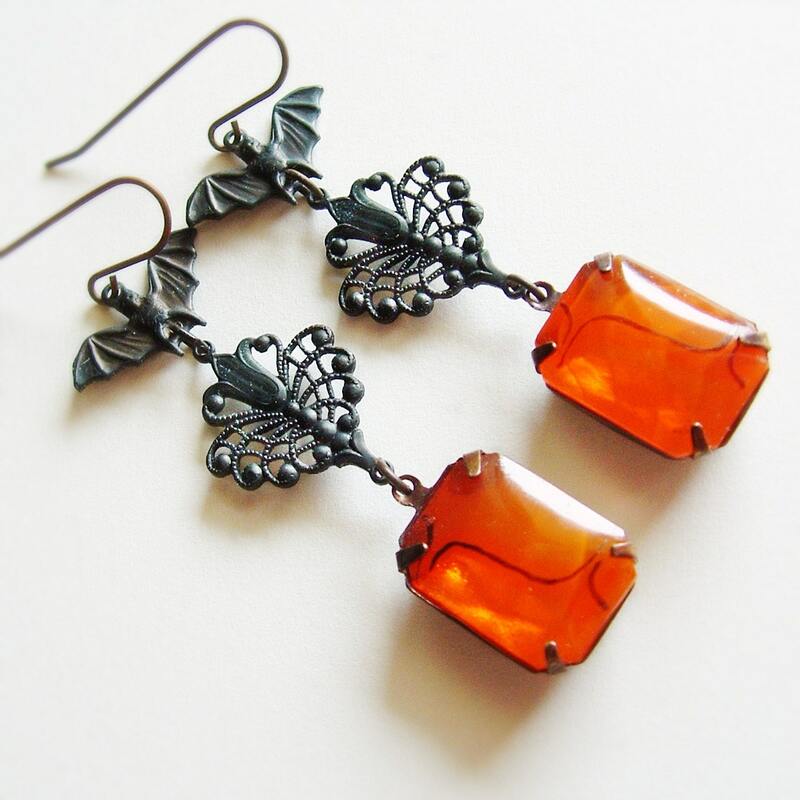 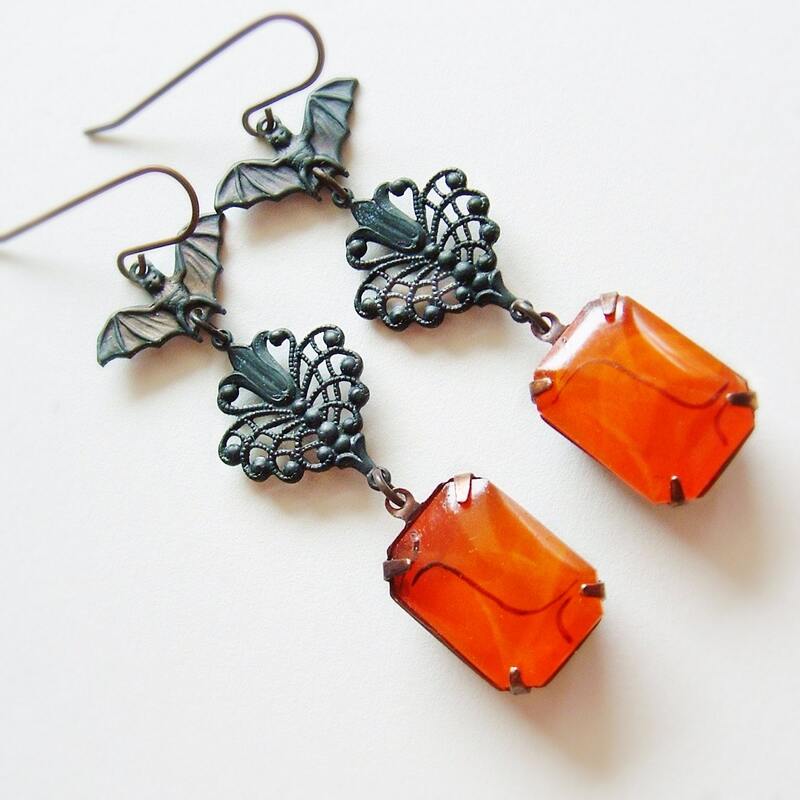 Adorn with clear glowing orange Art Deco painted vintage rhinestones.